I bought this coat from Diane von Furstenberg last year, decided I loved it, ripped out all of the tags and a few weeks later (I’m not proud of this) decided I hated it. It felt too big and clumsy on me and it had no pockets. In a haze of shame and guilt, I wrapped it in a suit cover and hid it out of sight in the back of my wardrobe promising myself that I’d put it on eBay when the time was right. I have become quite inventive with my maternity wardrobe, buying a few key things such as extra-tummy-room leggings and purpose-built dresses, but for the main part trying to find existing tops and tunics that work well over a growing bump. So far, the stars of the show have been my Stella McCartney jumper dress (the beige one that I wore in my Chloe post) and most of my Hush stuff. I think that the more quality items in my wardrobe have served me very well – they tend to be generous in the amount of spare fabric they have, which is useful for the expanding waistline! The tights I have on were something of a find – expensive, but absolutely brilliant. So soft and thick, they are 200 denier and were £12 from Accessorize. I wouldn’t usually buy my tights from there, but I was on my way to Paris and had to get tights at King’s Cross. ASOS have a three-pack of 200 denier for £22, but they don’t look quite so opaque in the photos, I shall have to get some and try them out. I love a thick, smooth pair of tights! The post Pregnancy Style: The Forgotten Coat appeared first on A Model Recommends. See previous Amy tutorial for makeup up to this point…..
Goodness, I’ve really tried with this foundation, but this review is, I should warn you, something of a mixed bag. I’ve seen so many glowing reviews of Clinique’s Superbalanced Makeup online and so, when I first “dug in” (literally, see below for full explanation) I was expecting it to be love at first use. But it wasn’t. In fact, I was so completely underwhelmed by this foundation that I thought that I was doing something wrong with it. Perhaps my moisturiser was too rich? Not rich enough? Maybe the new serum I was trying out was doing funny things to the foundation formula? I wasn’t applying it correctly? I can tell you that I’ve now tried Superbalanced with a light moisturiser beneath it, an oil-free moisturiser, no moisturiser, an oily-skin primer and a dry-skin primer and each time I’ve come to the same conclusion: Superbalanced and I do not quite see eye to eye. It’s bloody lucky, really, that it even got a try in the first place because it’s packaged in the most frustrating way that could ever have been conceived: a glass bottle with no pump, pipette or any sensible way whatsoever of getting the product out onto the back of your hand. It seems to have taken inspiration from the classic glass ketchup bottle, which, as we all know, is one of the world’s epic design fails. Because why would anyone want to wait for hours for their ketchup to come out onto the plate? Or have to stick a knife into the mouth of the bottle to loosen the sauce, only for about seventeen-billion kilos of the stuff to come flying out? I had to do the equivalent of the knife thing with this foundation – although in this case it was the handle of a makeup brush. Dig-dig, and then wipe a blob of Superbalanced onto the back of my hand. Now let’s talk about the Superbalanced formula: in theory (and seemingly, for most people, in reality) it’s an excellent, buildable foundation in a good shade range that hydrates where needed and absorbs oil in the places that get a bit greasy. 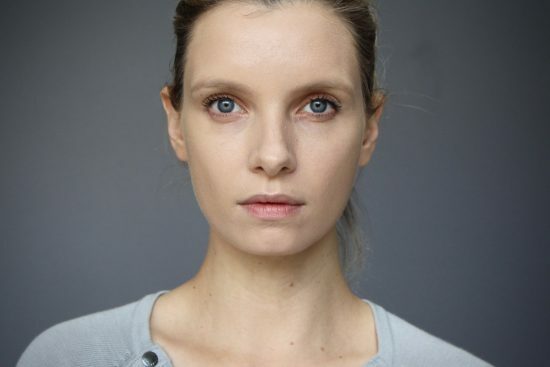 Perfect – if you’ve combination skin (which I tend to have, a lot of the time) then you should be able to say goodbye to makeup slippages in the T-Zone and those horrible bits on your chin where the foundation sticks to your dry and flaky patches. In theory. But this isn’t what happened on my skin at all. On my skin I just sort of had a uniform, slightly waxy-finished coverage that looked a bit patchy on my chin and nose. The thing is I know that I’m being incredibly harsh here, because I zoom right in on my camera and then I absolutely obsess over the finish in my magnifying mirror, and I know that no normal person is ever going to look at my face that closely…but I feel as though if I’m going to zoom in for one foundation then I need to do it for all of them. So I do. That’s what I do for each and every foundation review that I put up. I don’t like writing about products that have disappointed me – I find it rather stressful, if truth be known – but I invested a whole eight days’ worth of makeup testing on Superbalanced, and so it wouldn’t be particularly time-efficient for me not to write about it! I would love to know if anyone else doesn’t get on with it – perhaps I’m the only one? I mean, everyone loved that Hourglass foundation stick that cost the same as a small house, but I really didn’t. So perhaps I’m totally pedantic, or have weird skin – let me know. From a nice normal distance, I think that Superbalanced looks lovely. Natural, even, not too “mask-like”. You’d maybe expect it to have a matte finish, what with the oil-control business, but actually I think it’s on the glowy side. It looks fresh and youthful, you can find a good colour match, the texture is light and easy to apply. But it’s when I zoom in that you can see my problem with it – I find that it “sits” on the skin rather than being a second skin. I can see it sitting in my pores, failing to blend seamlessly on the nose and chin. So why, I hear you ask, did I persevere with Superbalanced for eight whole days? Firstly, as I’ve explained, most reviews online have been unblemished, which made me question my own results. Secondly, as I’ve also said, my feelings on this are a bit of a mixed bag. The finish from a normal distance is fine and I’ve even had a few comments from people saying that my skin looked nice, which is always a motivation for giving something another try. So it’s not as though I hate this makeup, it’s not a lost cause, I just have enough niggles with it for me not to want to use it again. On the eighth day of testing I actually cleansed my face at 11am and put something else on! A different Clinique foundation, as it happened – review coming up. It’s a good one, as are most of Clinique’s face bases. They do face bases really well, they know skin, they create brilliantly natural finishes…but this one, for me, is a no-go. Clinique Superbalanced is £23 here. 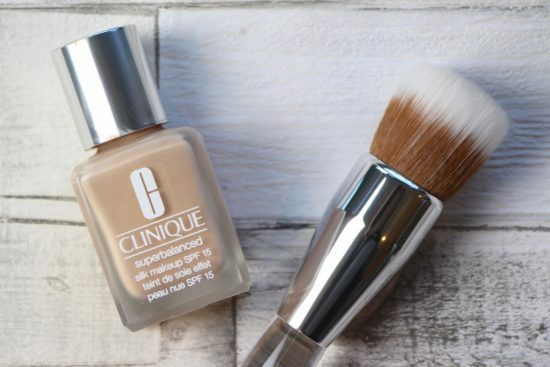 The post Clinique Superbalanced Foundation Review appeared first on A Model Recommends.